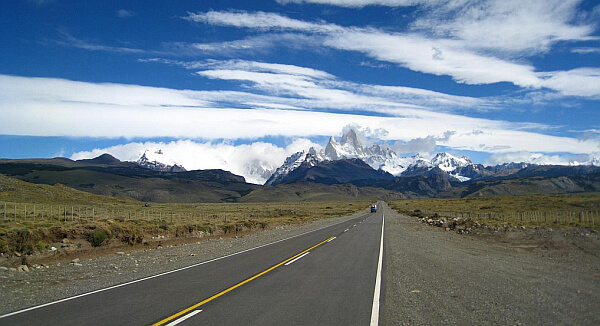 Argentina is a long country with some very long stretches of highway. This is a nation where a car trip can be 24 hours long and for most of that you’re seeing grass plains, farms, and cattle. It extends from lush rainforest and waterfalls in the north to the cold southernmost city in the world–the launching point to Antarctica. There are some spectacular scenic drives through dramatic locations, however. You can rent a car in most of the population centers (Alamo has 36 locations) and explore at your own pace, staying in interesting inns or estancias. Here are some of the most memorable options. 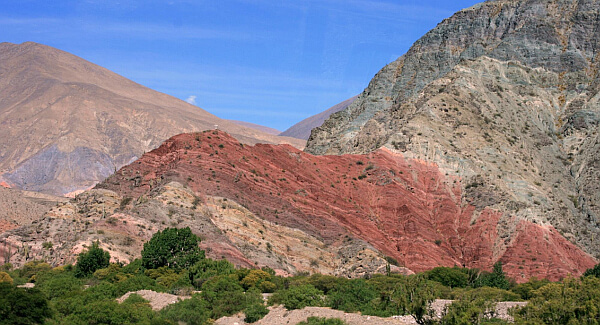 The drive from the big city of Salta to the laid-back wine producing town of Cafayate is simply spectacular. At just three hours long, it’s a terrific road trip that gets quickly into the countryside and then enters an area of geological wonder. The cliffs and rock formations here are in a variety of colors and the yellows and oranges glow when the sunlight hits them. It’s worthwhile to pack plenty of water and make some hiking stops at marked trails along the highway. You don’t have to get very far away from the road to feel like you have the whole place to yourself. It’s also possible to set up a tour from either city and join a group with an experienced guide. See our reviews of the best luxury hotels in both Salta and Cafayate. Ruta 40 (Route 40) is one of the longest roads in the world and if you have a lot of time on your hands, the whole thing is more than 3,000 miles long and passes 20 national parks. One of the most scenic stretches though is between Belén and San Antonio de Los Cobres, where you go through the Andes Mountains and climb as high as 16,000 feet (4,959m). 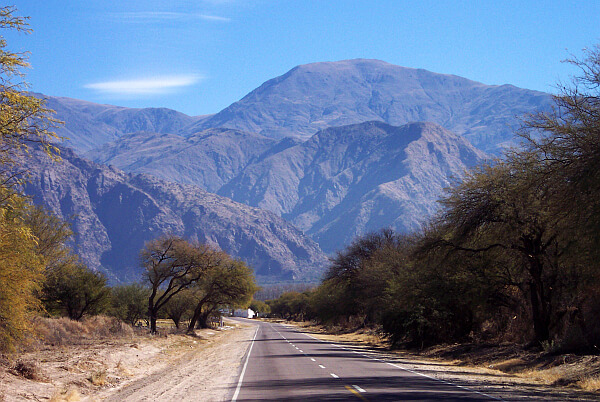 This point, the Abra de Acay, is reportedly the highest point on a national road anywhere in the world. Don’t linger long if you’re not acclimatized! You could also pick it up in Cafayate after the preceding drive from Salta and if desired, keep going all the way up through the Jujuy region to the Bolivian border. In just 17 kilometers, the slope of this road rises from 2,192 meters in Purmamarca to 4,170 meters (more than 15,000 feet) in Abra de Potrerillos. Through all this there are dramatic switchbacks and terrific vistas along the way. There are no forests on these dry, windswept mountainsides, so there’s rarely anything to obstruct your view besides cacti. There’s a good chance, however, that you’ll see vicuña and Llamas scampering or grazing. One of the easiest drives in Argentina, but one of the most spectacular, is to rent a car in Bariloche and then drive in a leisurely fashion to San Martin further north in the Patagonia lake district. You’ll hug the shores of seven lakes along the way and see dramatic Andean peaks either fully or partially covered with snow depending on the time of year. This is truly one of the world’s most scenic drives and along the way you’ll have plenty of chances to eat well and drink excellent wine. We recommend an overnight stop at Las Balsas or LUMA Casa de Montaña on the way there or back if there’s time to relax and soak it all in. There are also opportunities to go skiing in the winter or to go hiking in the warmer months. The route passes two national parks: Nahuel Huapi and Lanin. Naturally there are plenty of options for taking out a boat and doing some fishing or just exploring by canoe or kayak. The whole drive is 114 miles (184 kms) so you could easily do it all in a day, but you may hit some unpaved sections and it’s better not to be in a rush. This is one of those drives where you leave something spectacular, drive for a couple hours, then approach something fantastic at the other end. The main reason to visit Calafate is to see the Perito Moreno glacier, which is in constant motion and often sheds ice into the water while you’re watching. If you drive from here past Lake Argentina and then Lake you get to see El Chaltén appearing in front of you as you speed down the road. Past that is Fitz Roy peak, close to the Chilean border. No matter where you’re going on your next big adventure, check out this road trip checklist for what you’ll need to do and pack. This post was made possible by our partner Alamo Rental Car. They had no input on the story and all opinions are our own. The Beautiful Quebrada de Las Conchas in Argentina 6 Epic South America Road Trips You Can Do in a Rental Car Wine and Wild Wanderings in the Salta Province of Argentina South America Wine Tours: Chile, Argentina, or Both?